THERE’S ONLY ONE home of bourbon, and there’s only one horse capital of the world. There’s also only one state in America that’s home to the world’s biggest cave system and some of the best barbecue on Earth. Yeah, it’s Kentucky. The Bluegrass State. Whatever you call it, it’s one of a kind. Check out these 10 experiences you can only have here. 1. Hit the Kentucky Bourbon Trail®. One surefire way to pester a Kentuckian is to confuse bourbon with whiskey. True bourbon is made only in the States. And much like having a Guinness in Ireland, bourbon must be tasted in its ancestral home of Kentucky. The best place to get a tipple (or three) is along the bourbon trail, which takes you to big-name distilleries like Jim Beam and Bulleit. Plenty of outfitters can chaperone you to the ten distilleries along the route, or you can create your own self-guided tour — just be sure to have a sober driver. PS: Head to Maker’s Mark and you’ll get to hand-dip the top of your souvenir bottle in that signature red wax. Think of it as proof that you survived the trail! 2. Celebrate meat at the International Bar-B-Q Festival. Accept no imitations, and don’t listen to the Texans — the world’s best barbecue is found here in Kentucky, and the city of Owensboro is the place for the stickiest ribs and best burgoo stew around. During the second weekend of May, the town celebrates with the International Bar-B-Q Festival on its beautiful riverfront. Expect more mutton, pulled pork, and ribs than you could eat in a lifetime, as well as plenty of barbecue gastronomes from far and wide, coming to taste and compare the latest secret sauce recipes. If you can’t make it for the fest, Old Hickory Bar-B-Que and Moonlite Bar-B-Q are two Owensboro institutions serving the world’s best year-round. 3. Go to the heart of bluegrass. A bluegrass resurgence has taken much of the country by storm, but the birthplace of that most beautiful of music genres can be found right here in Kentucky. If you want to get more specific, it was born in the rolling hills of Ohio County and the village of Rosine, where Bill Monroe — father of bluegrass — was born and raised. Visit his “Old Home Place” and while away some time on the porch. Also, try to be in town on a Friday night when impromptu jams awaken the Rosine Barn Jamboree in the center of town — you just might end up dancing to the tunes of a bluegrass hero that sounds an awful lot like Peter Rowan. 4. Get down at ROMP Fest. 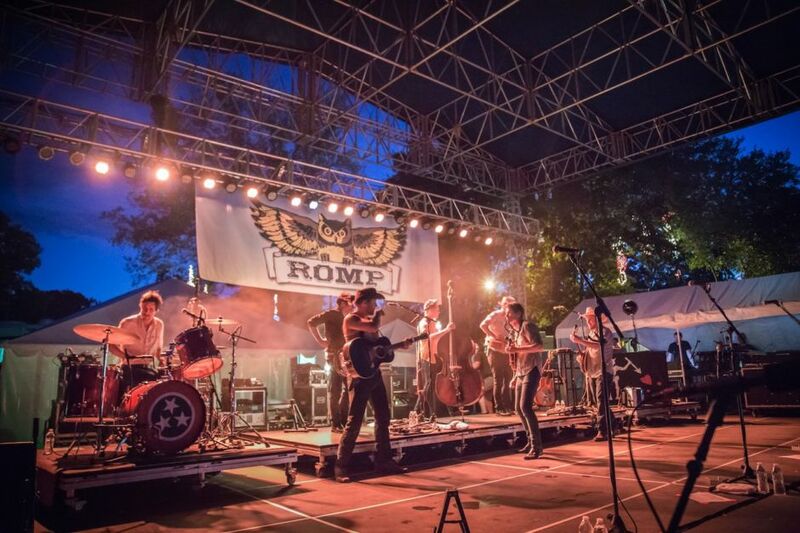 Whether you’re an old bluegrass hand or a recent convert, you’ll want to check out Owensboro’s ROMP Fest (June 21-24, 2017). Set in Yellow Creek Park, this party’s come a long way from its humble beginnings 14 years ago, and is now one of the premier music festivals in the country. Camp out for four days of bluegrass and country singers old and new, including the Nitty Gritty Dirt Band, Punch Brothers, Los Lobos, and The SteelDrivers. Tip: Some of the best music can be heard in the late-night jam sessions that take place around the campfires…so bring an instrument! 5. Head outdoors at Red River Gorge and Natural Bridge. Red River Gorge Geological Area and Natural Bridge State Resort Park are about an hour east of Lexington along the Mountain Parkway. Red River Gorge (aka, “the Gorge” to locals) is located right next to Natural Bridge, and has some great hiking through winding valleys filled with hidden caves and curious rock formations. It’s probably most famous, though, for its first-class rock climbing, among the best in the eastern United States. Popular climbs include Military Wall, Left Flank, Roadside Crag, and the aptly named Motherlode. The top of Natural Bridge can be reached by foot or gondola, and the views from the summit of this million-year-old, 65-foot-tall sandstone arch are stunning, looking out to the surrounding hills of eastern Kentucky. 6. Head out on the water, Kentucky-style. You should follow up that summer hike with a refreshing swim in crystal clear water, because the Bluegrass State is home to thousands of miles of rivers and streams, not to mention giant lakes for splashing around in. Whether you want to check out the state’s raging whitewater, gaze in awe at Cumberland Falls, or head to the #1 house boating destination in the States — we’re looking at you, Lake Cumberland — sunny days full of waterskiing, jet-skiing, tubing, and fishing are yours for the taking in Kentucky. 7. Discover Mammoth Cave’s depths. 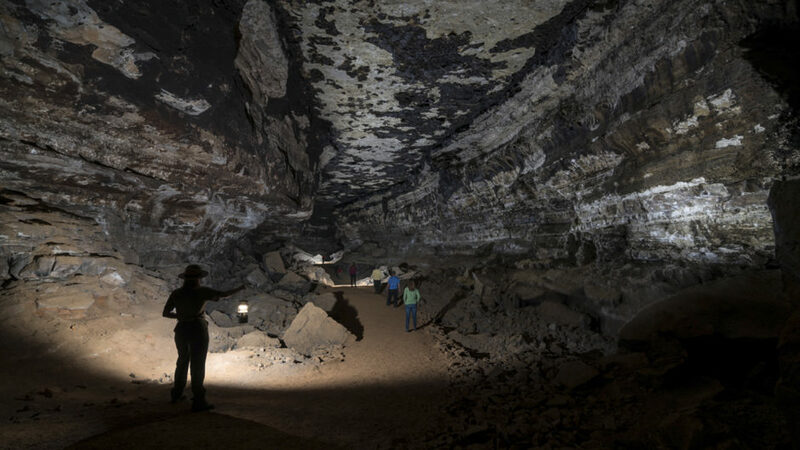 In the Bluegrass State, you’ll find an underworld of more than 400 miles of interlinking caves, protected as a one-of-a-kind national park. Mammoth Cave is actually the longest cave network in the world, and its labyrinth of passageways and stalactites, stalagmites, and other rock formations includes a drapery room, a dance hall, and underground rivers…but you’ll have to join a ranger-led tour to find out just what those features might look like! 8. Learn the story of The World’s Greatest. 9. Visit the birthplace of Abraham Lincoln. He’s the Civil War President credited with leading the North to the victory that ended slavery, and he was born in a one-room log cabin in Kentucky. Discover his life story on a visit to Abraham Lincoln Birthplace National Historical Park. Check out the Lincoln Boyhood Home at Knob Creek and other historic sites on the Lincoln Heritage Trail — like the Lincoln Museum in Hodgenville — that shed light on the 16th President of the United States. 10. Go all out at the Kentucky Derby. Springtime in Kentucky is ice tinkling in a fresh mint julep on a sunny day. It’s also the time to head out to the races with a few thousand of your best friends and (hopefully) cash in big. The Kentucky Derby, which takes place in buzzing Louisville on the first Saturday in May, is probably the most famous horse race in the world. But if you can’t be at Churchill Downs — one of the country’s most iconic venues — for the “fastest two minutes in sports,” the Keeneland race track in Lexington hosts races in spring and fall. It’s routinely voted one of the most beautiful tracks in the country, and a visit is a great way to have a uniquely Kentucky day out. This post is proudly produced in partnership with Kentucky Tourism.